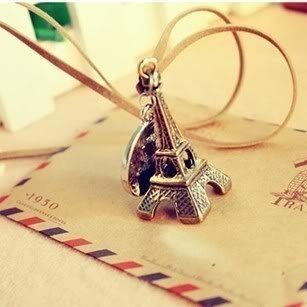 Eiffel Tower Necklace Only $0.95! You are here: Home / Great Deals / Amazon Deals / Eiffel Tower Necklace Only $0.95! I am LOVING this necklace! Right now, you can get this fabulous bronze Eiffel Tower Necklace for just $0.95! And, shipping is FREE! This is one of those necklaces that would make a fabulous gift and, at this price, you can grab several to toss in your gift closet!